received a Tweet this evening from one of my favorite authors Alexandra Ivy she was holding a contest ." I'm giving away the Immortal Rogue Trilogy! Tell me... tattooed hero or ink-free?" So of course this got me thinking, which as we by now know is a very scary thing *grin*. Personally, I love tattoos on men as long as they are well done and not home made. Tribal tats particularly ring my bell. In my romantic mind my perfect hero has tribal tats so for me this past year or so has been fabulous for both PNR and CR as we have had a rash of tattoo'd heros or tattoo'd artist. 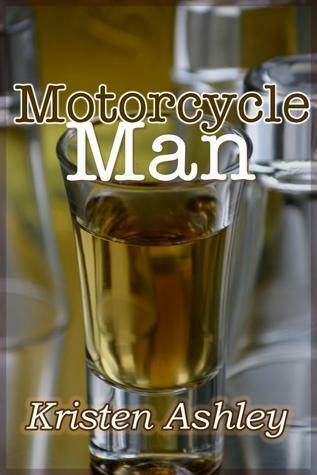 Kristen Ashley's Motorcycle Man had me taking cold showers for days. Man her hero was HAWT!! and the fact that he acted like a #1 grade a$$ in the beginning just put is drool factor even higher. There is nothing like a badboy hero who is totally unlikable in the first chapter to redeem himself in the forth coming chapters that lead with twist and turns to a HEA. *sigh* Loved that book...in fact will post my review tomorrow. If you haven't read the Mystery Man Series by Kristen Ashley (CR) you are missing some great stories and fabulous heroes. I then have to think about all the guys I know in RL who have tats and my ideals come crashing down. Our very good friend has his family's Scottish flag all over his back. Do I find him hot? umm..no. Then we have another friend with a tribal tat do I find her hot? umm...no mainly cause I don't swing that way:)..but the tat doesn't spark an interest at all. Makes you wonder why our book heroes wearing tat's make our temperatures rise and we find ourselves crossing our legs? Could it be that our imagination is better than anything we "know" RL. I mean realistically could you see anyone playing "Vald" from Once Burned by Jeaniene Frost? We love to play match that actor but really..could any of those "real" men be as good as the one our imagination created? For me, no way. I love my imaginary guy who I create from some very talented author's imagination. He is perfect and allows me to keep my rose colored glasses on.